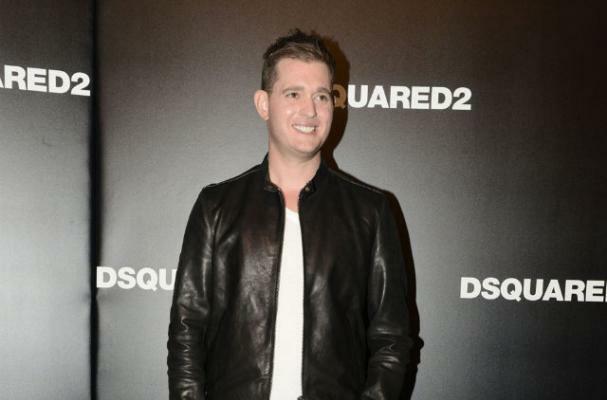 Michael Buble recently shed a few pounds, crediting the weight loss to his wife Luisana Lopilato. "It's much easier when you're with somebody who's that disciplined. I've gone on diets, and I've gone up and down with my weight. But keeping healthy is certainly simpler when you're with your wife and you say, 'What do you want to do today?' and she says, 'Let's go to the gym..."
Saying he "looked pregnant" in photographs, the singer now follows a low-carb diet. "I cut out bread, rice and pasta. And honestly, I eat really well."